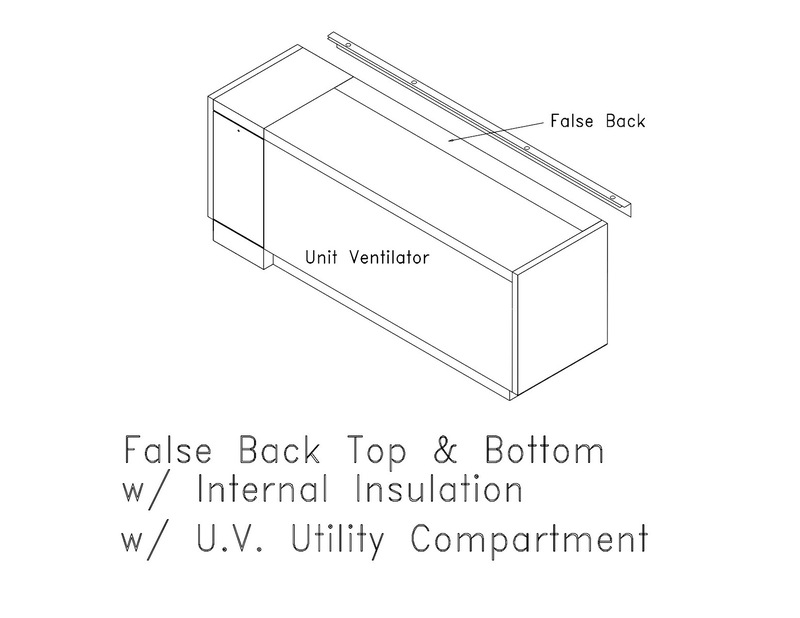 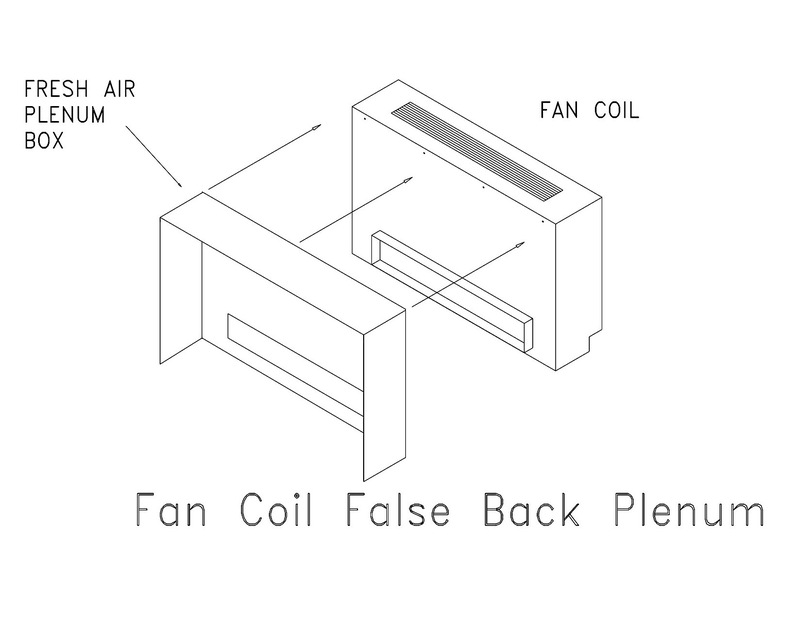 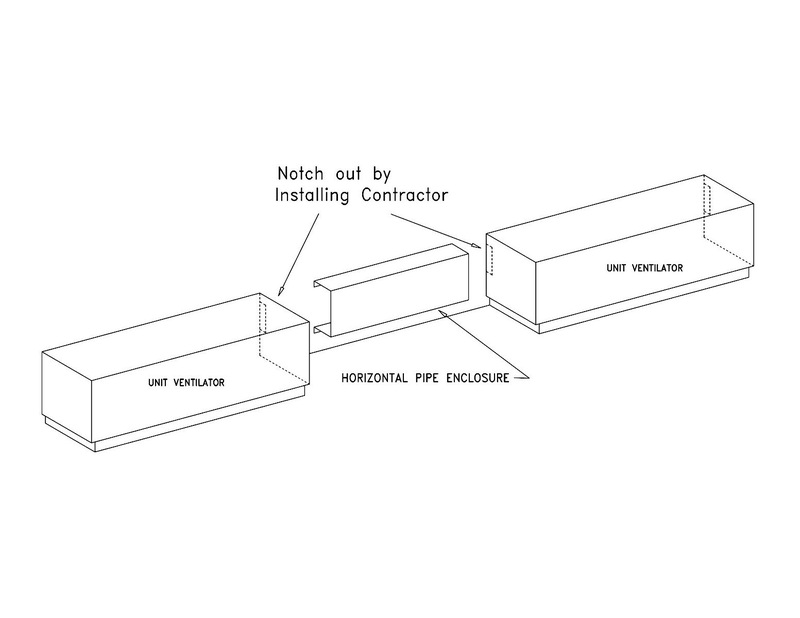 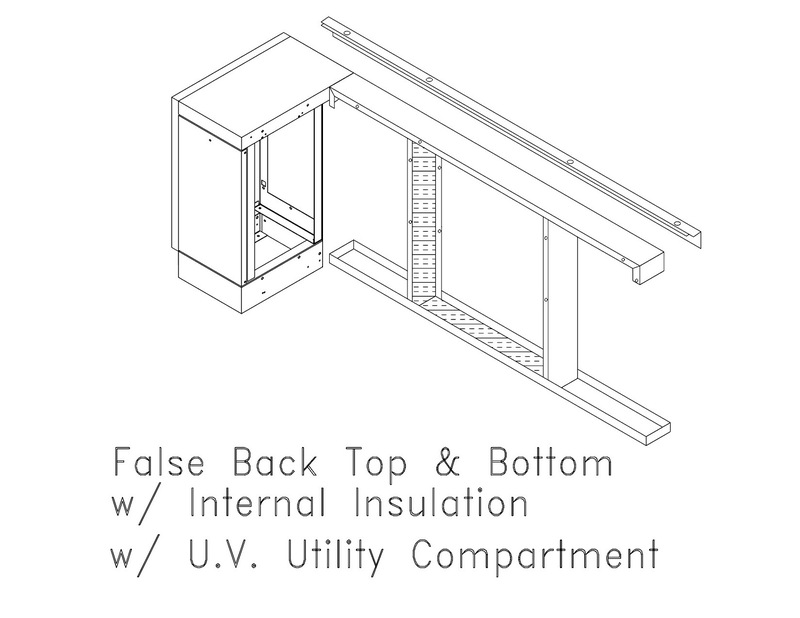 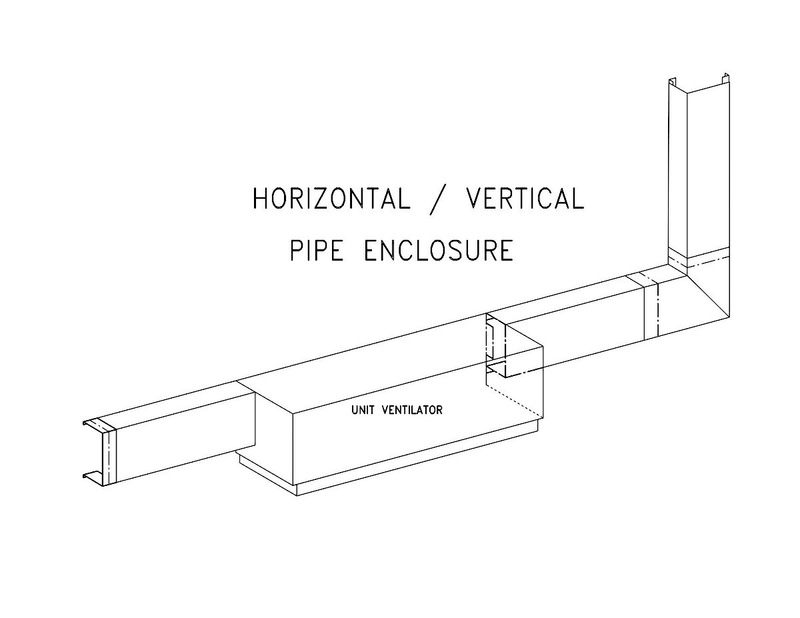 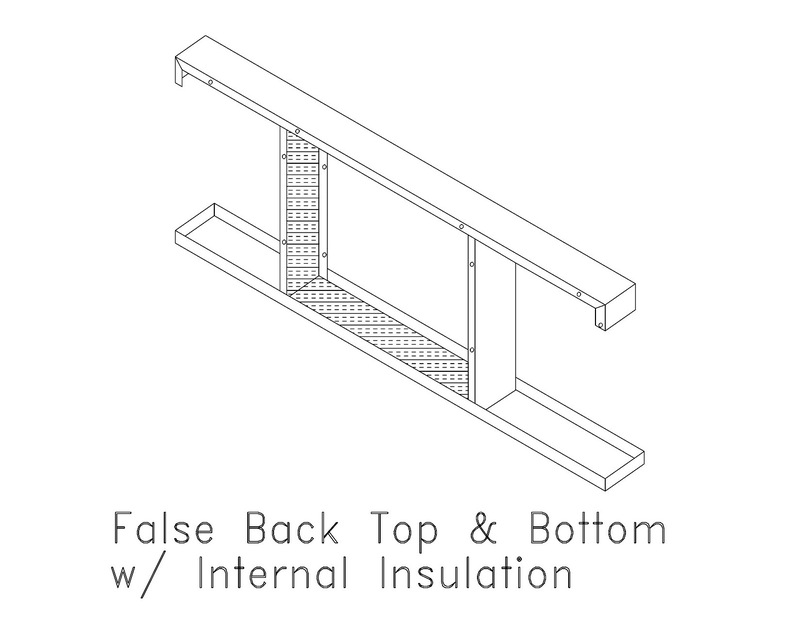 HVAC Custom Enclosure Co. has Pipe Enclosures & False back Plenums for any application. 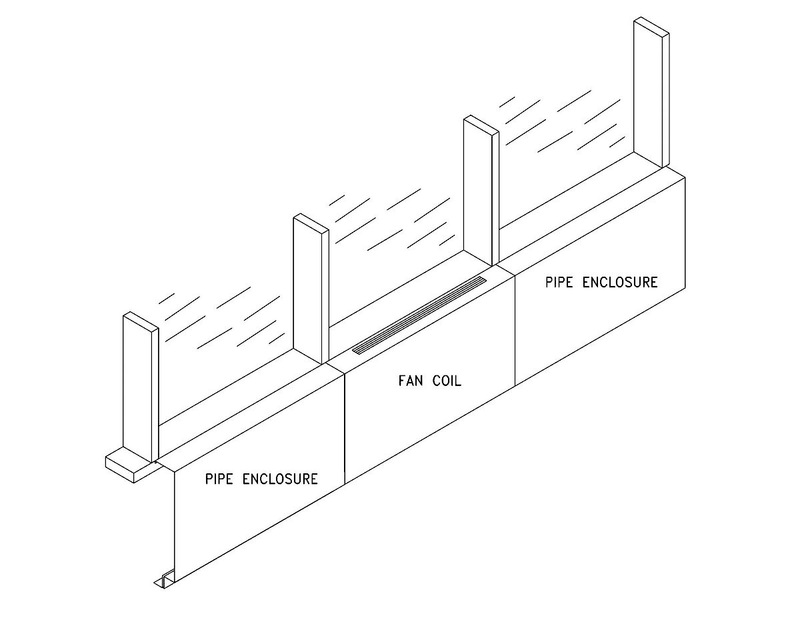 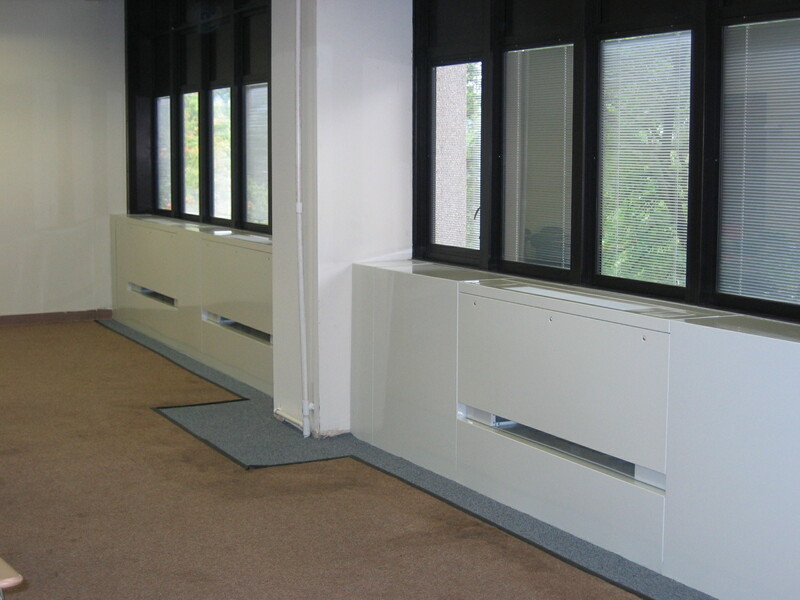 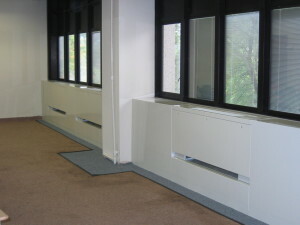 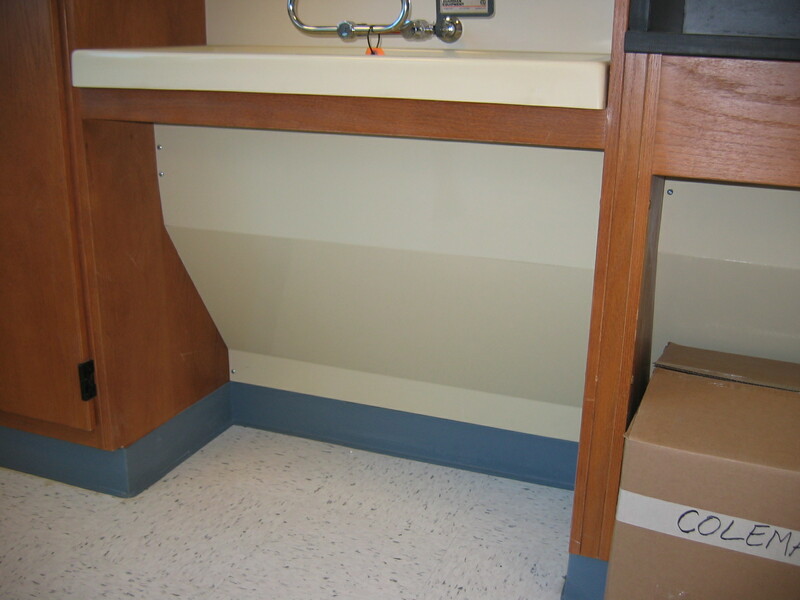 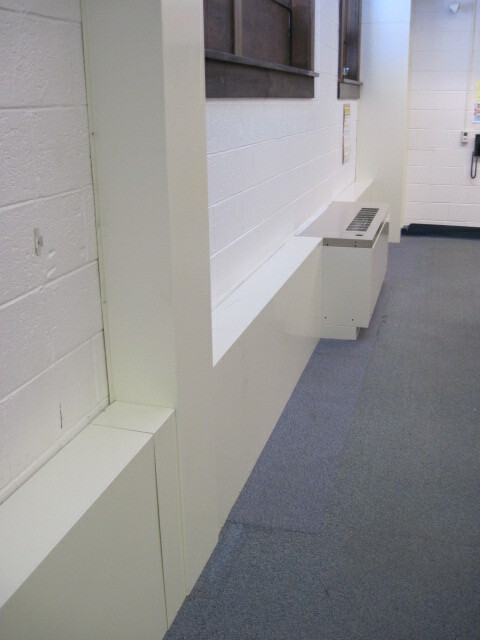 Our enclosures can conceal and protect pipes from damage as well as shield from potential contact with people. 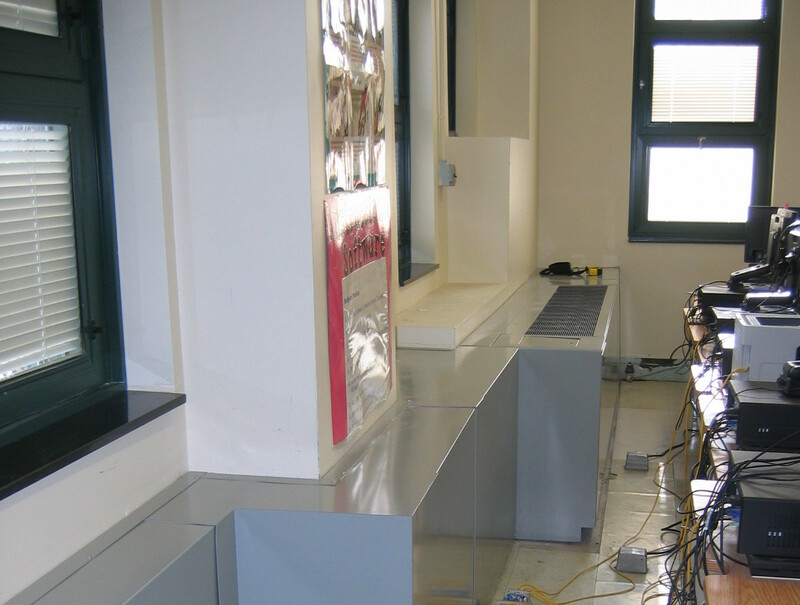 We can create enclosures & plenums that combine aesthetic beauty and exceptional quality to meet demanding building conditions. 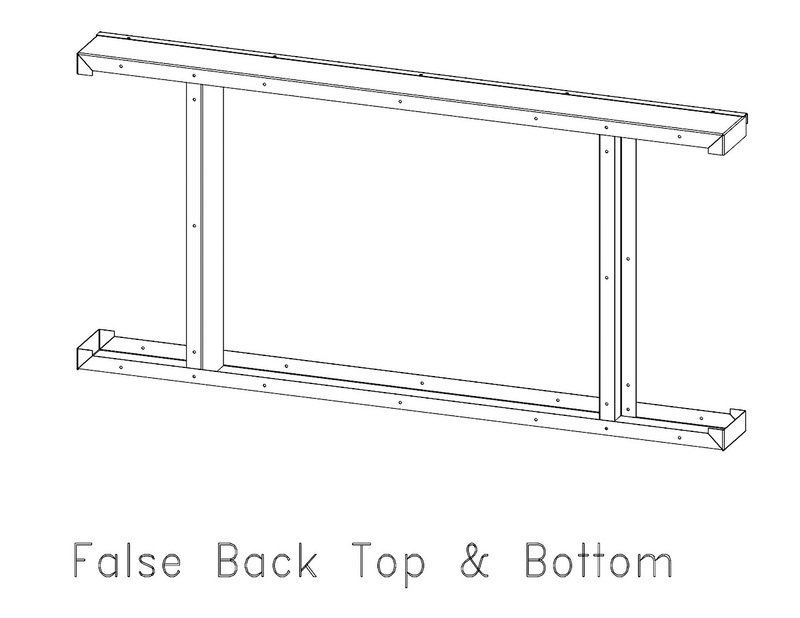 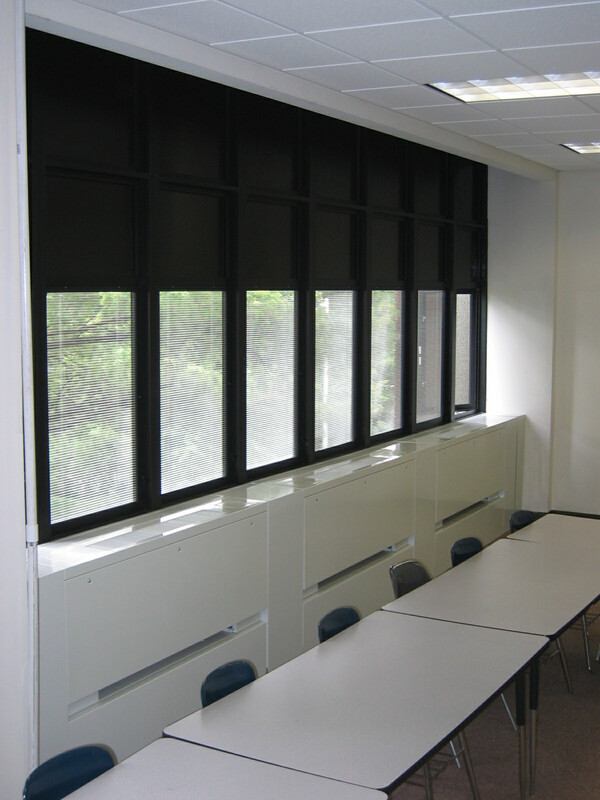 Our standard enclosures & plenums are made of 16 gauge furniture grade steel with a powder paint finish. 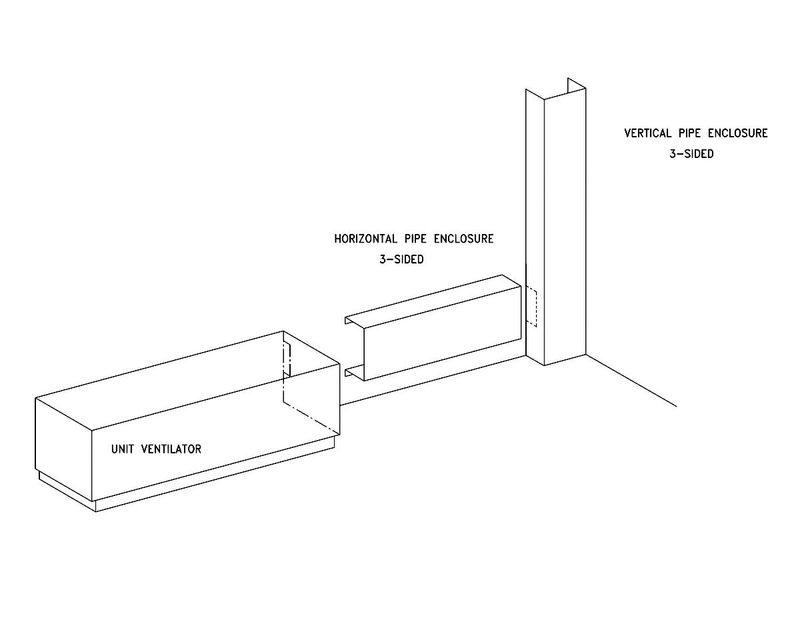 Stainless steel, galvanized or aluminum in material gauges from 16 to 10 gauges. 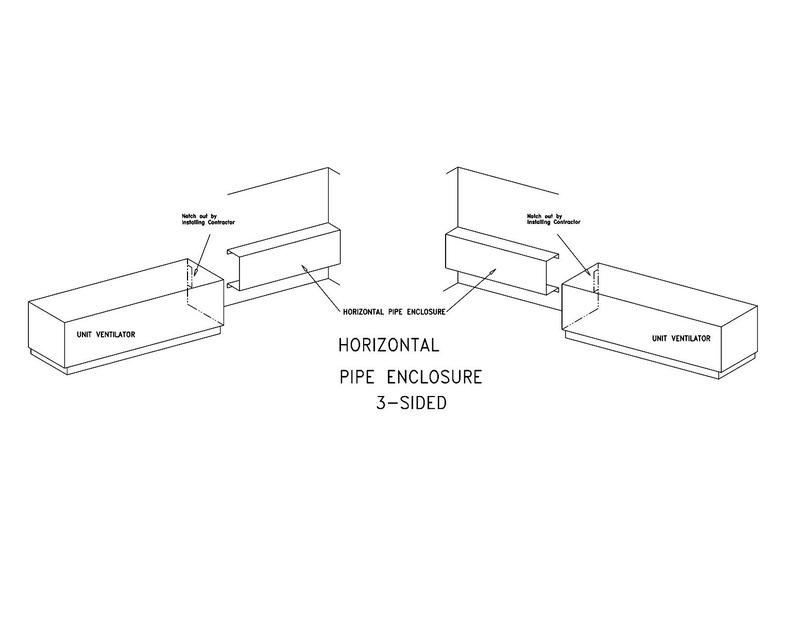 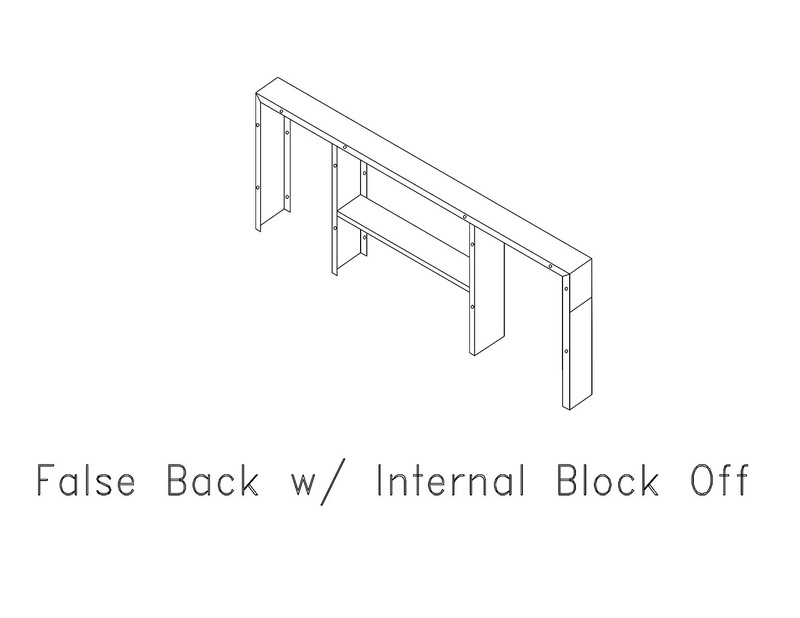 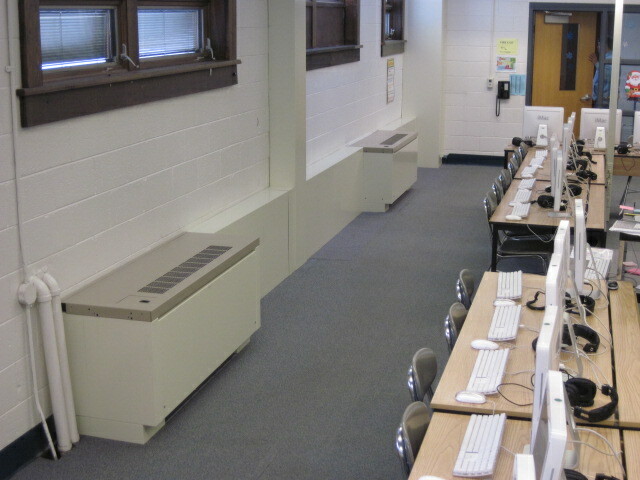 Different sizes, lengths & mounting configurations available. Complete trim accessories including wall, end, corner, and custom trims. 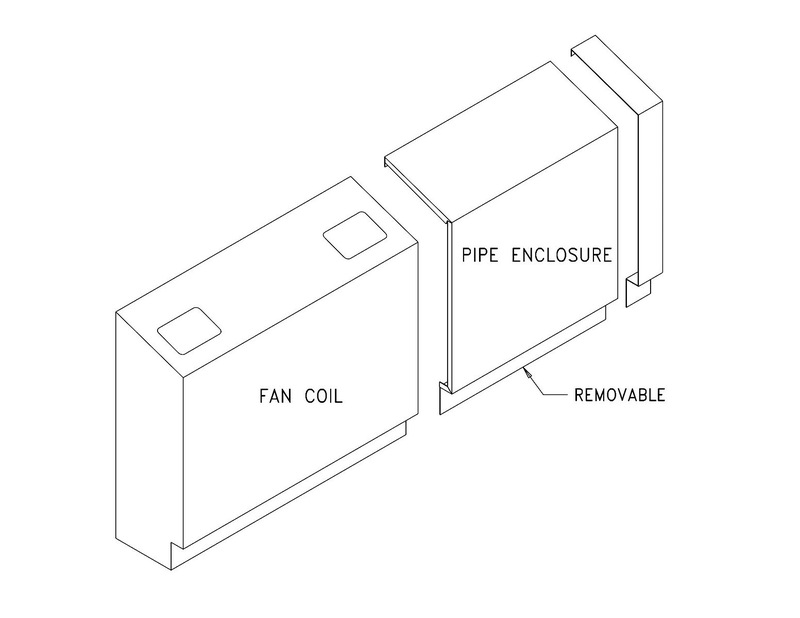 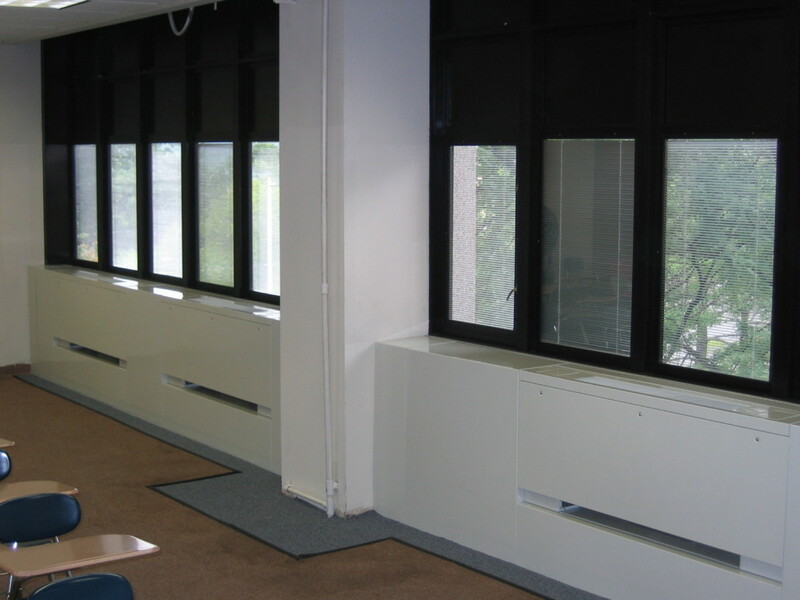 Bring your pipe & false back plenums enclosures requirements to us and let our talented team create an enclosure to complement your building needs.